Scarface Claw, the Toughest Tom in Town! When last we left our ruggedly handsome hero, he was about to go under the knife to have a number of Basal Cell Carcinomas (BCCs) removed. You’ll be pleased to know (hopefully…) that the procedure went well and everything is healing up nicely! The number of BCCs removed was less than anticipated, but that was merely because three of the BCCs they removed from in front of my left ear were in such close proximity that, rather than removing them individually, they were all taken out in one fell swoop – resulting in a pretty decent sized, but very manly-looking scar. If anything, needles and other sharp metal things aside, spending a couple hours lying down, away from work and our 10 month old daughter meant it was possibly the most relaxing couple hours I have had in a very, very long time. 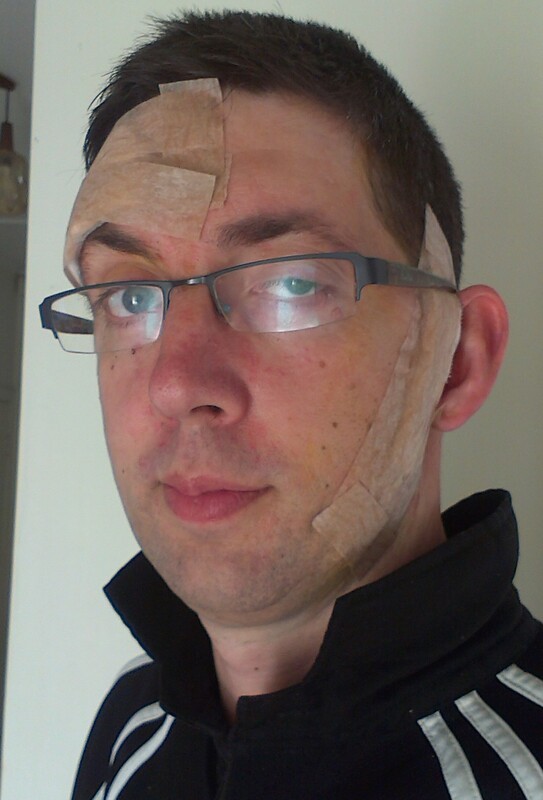 The only downside was the amount of bandaging adhered to me head after the operation. While subtly skin-coloured, due to the location of the affected spots, a fair chunk of adhesive tape ventured into my hairline and half of one eyebrow – rendering any emotive facial expression rather painful. The scars have healed up very nicely and I have since graduated down to a couple pieces of 1cm wide strapping tape to keep the scars as flat as possible for another couple weeks. He thinks the number of cases nation-wide is increasing, but as New Zealand apparently doesn’t have a “cancer register” or the likes, the medical fraternity can’t be completely certain. He personally sees about 20 cases a week – that’s over 1000 cases of skin cancer a year – and he’s only one lower north island surgeon. Quite startling figures! As I said last time: If YOU have any suspiscious moles or spots on you skin, PLEASE see your doctor, or somewhere like Molemap to get them checked out! It may be nothing at all, it may result in a small scar, or it could save your life! 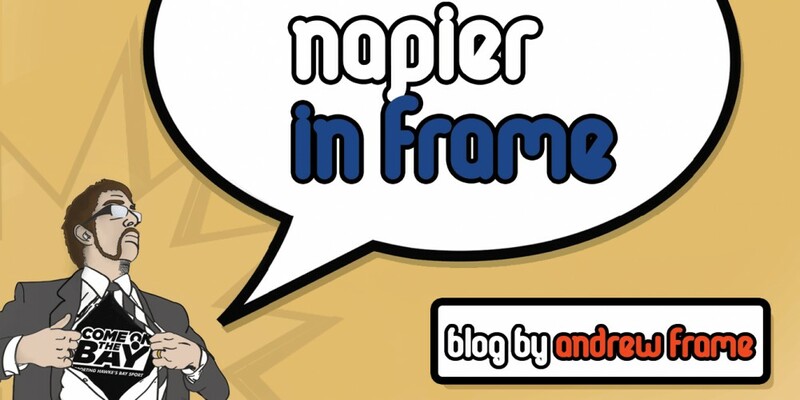 This entry was posted in Opinion, Writing and tagged Hawke's Bay, Opinion, Writing by Andrew Frame. Bookmark the permalink.